Sea Studios Foundation maintains a small administrative staff to ensure tight fiscal and organizational controls. We have a post production supervisor on staff who handles all our footage and stock requests. We work with the best freelance crews for all our production. And we are constantly on the lookout for new talent. Sea Studios Foundation is the culmination of Mark’s lifelong ambition to harness the power of film-making to spotlight some of the most pressing issues of our times – from climate change to invasive species, from the loss of biological diversity to the loss of large predators and landscape fragmentation, and the vital role of our oceans in Earth’s life support systems. A visionary, and a passionate advocate for issues affecting our planet’s health, Mark strongly believes that the first step towards inspiring action is to help the public appreciate the science that underlies our understanding of the earth’s systems. With Mark at the helm, Sea Studios Foundation has developed a unique capacity to identify issues that need public attention, and create compelling visual narratives that educate, inspire, and lead people to action. A producer of many award-winning films, Sea Studios Foundation is best known for its award-winning National Geographic prime-time series, Shape of Life, and Strange Days on Planet Earth, hosted by Edward Norton and Mark, as the executive producer. Mark's vision shaped Strange Days on Planet Earth into a unique production that integrates cutting-edge research, state of the art graphics and globe spanning investigations, all presented as a high-tech detective story, with a rich web experience, a set of related multi-media deliverables, programs in science centers around the nation, and a series of live public events. Mark graduated from Stanford University (B.Sc., 1972) with honors in Biology and conducted research at Woods Hole Oceanographic Institution for two years. Prior to beginning his film career, Mark was Program Director of Oceanics School, which ran academic programs on traditional square-rigged sailing ships. While freelancing in New York City, Mark had the opportunity to work on his first National Geographic Specials, which launched his filmmaking career. 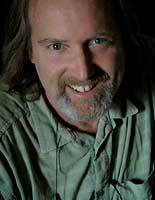 As a National Geographic filmmaker and Senior Series Producer Mark has been part of numerous award-winning exhibit and television programs. He is internationally recognized for his underwater filmmaking skills and has developed deep sea imaging systems for (amongst others) National Geographic Television and Film and the Monterey Bay Aquarium Research Institute. Mark is an expert diver, submersible pilot, and an airplane pilot with an instrument rating, and an aspiring sustainable farmer. He lives a very rural life with his wife Elizabeth, daughter Lucy and dog Phoenix.